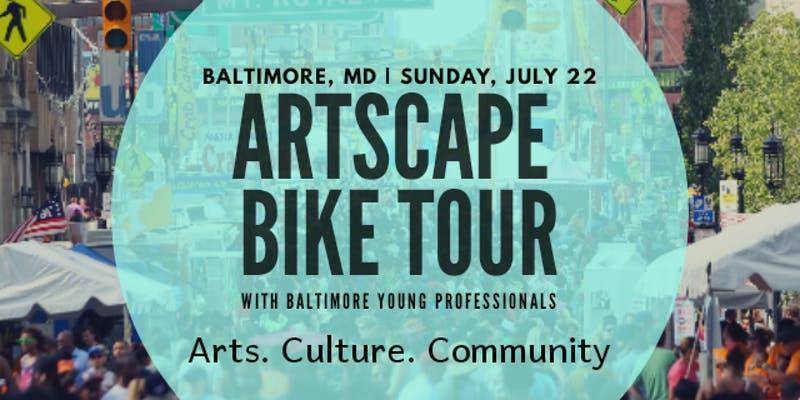 Join Bike and Brunch Tours for a tour of West Baltimore neighborhoods through the lens of history, culture, and art with Baltimore Young Professionals. Get to know Baltimore beyond the harbor and standard tourist attractions. Come alone, bring friends, or bring family. Whether you are on a weekend getaway, local and looking for a new activity with friends, considering moving to the city and want to learn more first, or just want to get out, join us. This ride includes popular sites along the Baltimore Harbor waterfront, culture in the city center, and the history, legacy, and culture of nearby historically black communities, landmarks, and popular hubs of today's movers and shakers. This is a one of a kind casual tour that aims to exude positive vibes, treat our communities and the residents with respect, and nourish the mind and belly. Maybe you will even make a new friend or two. Ride, see Baltimore, have fun….and of course have brunch!